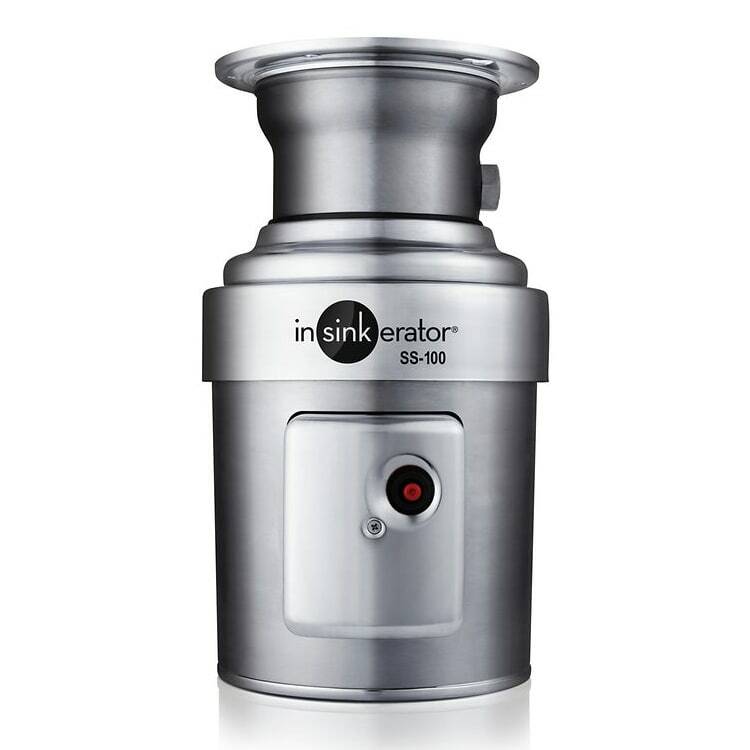 The InSinkErator SS-100 small-capacity disposer will help to pulverize food particles and waste in your sink. 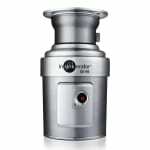 Due to its 1725 RPM and 1 HP motor, this basic garbage disposer will eat vegetable matter, peelings, and other organic materials that otherwise would clog your sink drain. With the stainless steel construction of the grind chamber, corrosion is resisted and durability is created. The InSinkErator SS-100 small-capacity disposer is kept from overheating with a built-in thermal overload protection in the motor. Shredding elements are stationary and rotating, able to reverse grind to ensure organic matter is disposed of. "This purchase has been a nightmare since the beginning. Katom would not accept a PO to ship our purchase and invoice my public school. This InS..."
"This purchase has been a nightmare since the beginning. Katom would not accept a PO to ship our purchase and invoice my public school. This InSinkErator disposal purchase was further delayed by a change in the ordering system at the mfg. Neither the mfg or Katom proactively told us about the delay and answers were vague when we called. When the disposal arrived, it did not have a mounting bracket as advertised. It was a rubber bushing. We had to purchase mounting hardware elsewhere to complete the install. After the install, the unit sat idle for 5 weeks over the summer. Two weeks prior to school opening, we go to verify everything is working and the disposal won't turn on and engage. Followed the trouble shooting instructions by the mfg to no avail. The unit hadn't been used outside of testing, so we called for warranty service. Svc tech comes out asks what I tried and tells me the reset button has to be pressed really hard to work. He presses the reset button so hard it clicks and the unit works again. Depsite not having been used and the troubleshooting materials lacking important information about how to reset the unit, InSinkErator denies the warranty claim. Then the service company,General Parts, charges us $225 for the service call that lasted all of 10 minutes. Neither InSinkErator or General Parts were willing to work with us on these outlandish fees and the overall experience."